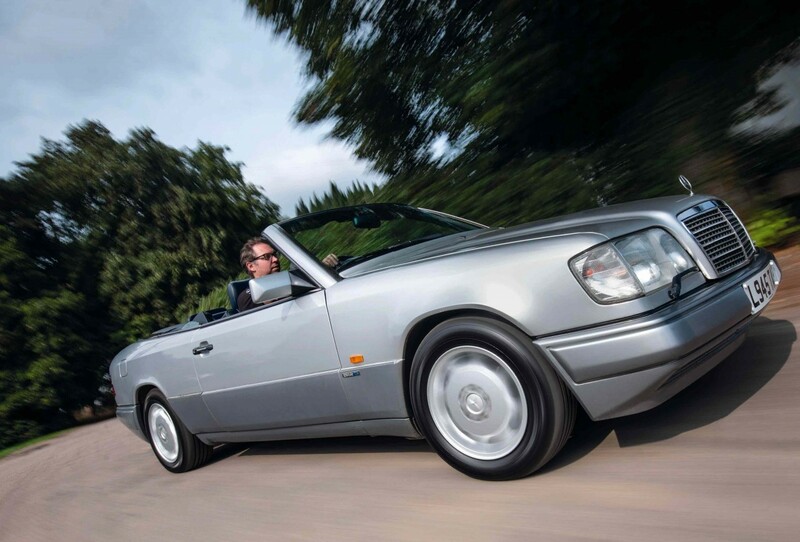 Long-Term Love Chris Lansbury coveted this W124 E320 Sportline for years. Now it’s finally his, he won’t be letting go! Words Emma Woodcock. Photography Dan Sherwood. His love of German marques started early. In time, it translated into his own driving history. “Growing up, I was lucky to have a father who always owned the latest Porsche 911 and a mother who drove a Mercedes 190E. 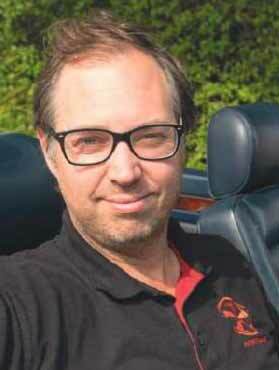 Exposure to these cars left a lasting impression, leading to my own roster of Benz-badged beasts!” He counts a G-Wagen, a couple of R107 SLs and a pair of Cosworth-fettled W201 190Es among his former steeds. Various W124s have also found themselves parked on his driveway. Four years after his encounter with the W111, his head was again turned by a four-seater convertible. 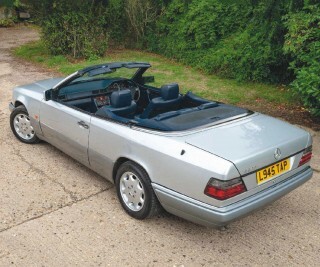 This time, it was a W124 drop-top demanding his attention. 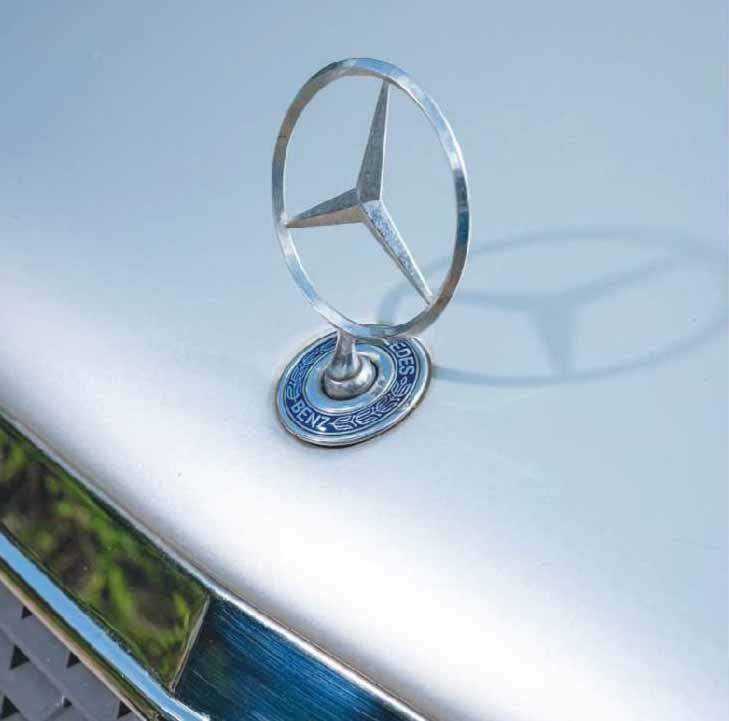 The car in his sights was a 1993 E320 wearing the taller headlights and integrated radiator grille introduced to the W124 range earlier that year. Dressed in silver over grey coupled with a blue hood and matching leather, the cool car quickly cast its spell. A full service followed. Anti-roll bar bushes, tyres, brake discs and pads were renewed at the same time. 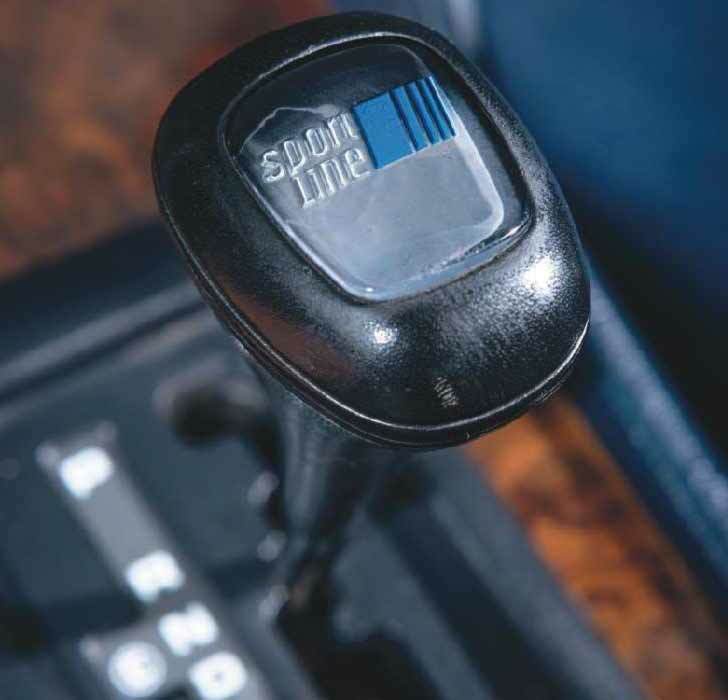 To bring the car back to its best, Chris also resolved the car’s interior niggles, including a swap of the digital temperature gauge, the task of fixing a troublesome seatbelt butler and the reinstatement of the original Blaupunkt head unit. The choice might seem unusual given his role as manging director of PIE Performance, one of the UK’s leading independent Porsche specialists, but the E320 soon found its place among his fleet. “I can get my young family in and out of the car. That’s a big attraction. Porsche simply doesn’t offer open-top driving in a four-seater which can supply useable space at the rear,” he reasons. 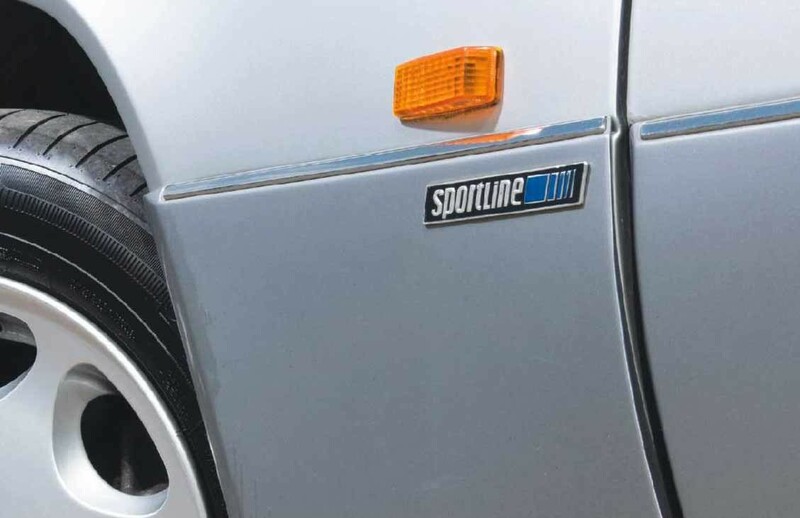 In a world where imitations are common, he’s proud of his W124’s status as a genuine factory-built Sportline. The tantalisingly named specification was introduced the W124 range in 1989, offering keener handling through a selection of suspension alterations. Firmer, shorter springs dropped the ride height by 20mm, hunkering the car over wider-than-standard fifteen-inch alloys wrapped in 205/60/15 rubber. A revised steering box with a faster ratio and three turns between locks further encouraged keen driving, whilst thicker anti-roll bars, firmer struts and a collection of uprated bushes reinforced sporting spirit. Above Sun out, roof down and al fresco driving on tap! 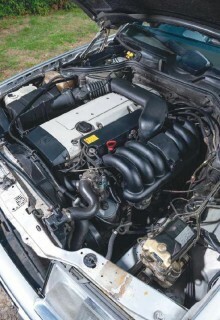 Below With so many imitators around, identifying a genuine W124 Sportline can be difficult. Worst thing about your W124 Sportline I hate those bloody stupid headlight wipers! The W124 cabriolet didn't arrive until the 1991 Frankfurt Motor Show, seven years after the saloon first hit the streets. 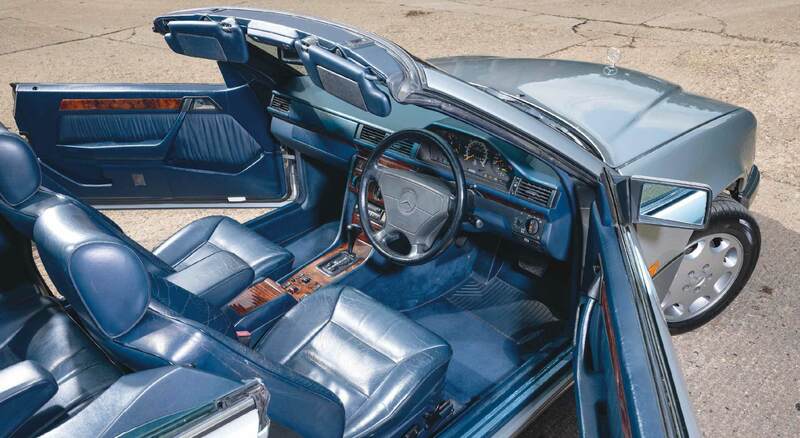 Starting with the coupe's body shell, Stuttgart engineers added thicker steel in a number of areas before adding a pair of diagonal braces along the new model's underside. 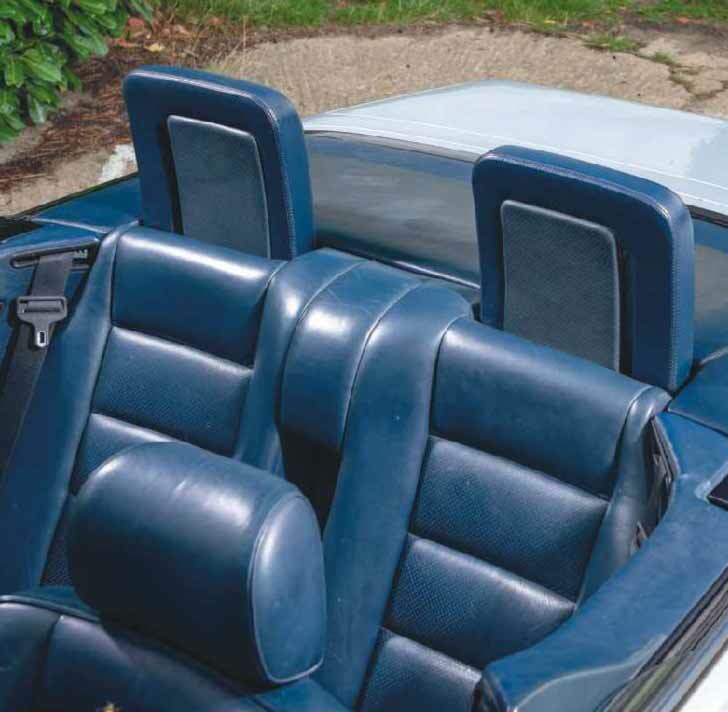 For top-down safety, the A-pillars received extra welded inboard panels, while a rear roll bar was designed to deploy automatically within 0.3 seconds of reigstering an accident. A fabric top and an electrohydraulic lowering mechanism with sixty-one moving parts was also added. The result? In instant modern classic!